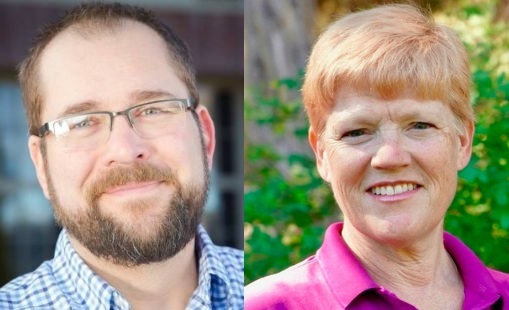 BEND, OR -- Candidates for House District 53 will face off in a debate Monday, continuing a series of forums hosted by the Central Oregon Association of Realtors (COAR). Questions are expected to be about Central Oregon's needs for housing, taxes, and better infrastructure. Democrat businesswoman Eileen Kiely says local businesses need skilled workers, and workers need affordable housing. "Businesses need an educated workforce. It's what Government has to do for Business, and it's okay to ask business to pay their fair share for it because they are getting benefit and it's helping them grow their profit." She tells KBND News, "What's Government's responsibility? It's not to provide capital to businesses, it's to provide the infrastructure that corporations cannot do for themselves." She says her knowledge of corporate finance will be valuable in Salem, "One of the challenges that we're going to have to face is how do we incent the market toward affordable homes for Central Oregon families? Because you can't make the market do what it doesn't want to do, you can only nudge it in the right direction." Republican Jack Zika says, "I'm a realtor and on the Planning Commission, so I've been advocating for affordable housing the whole time. I have a list of things I'd like to do in Salem, to get it started." He says it's a supply and demand issue, "Central Oregon is a popular area. Everybody loves to be here: the weather's great, the view's great, but we just can't build them fast enough because the land's not readily available, and so then, of course, housing becomes more expensive." He says part of the affordable housing crisis is due to state laws that should be changed, "That has to do with our land use system. The one size fits all land use laws that we have doesn't work for our area. What happens in Portland is not the same as what happens in Central Oregon." Monday's COAR debate starts at 1 p.m. at the group's office (2112 NE 4th Street, Bend). Click HERE to register for the free event. For more coverage of the November election, visit our Election 2018 page.